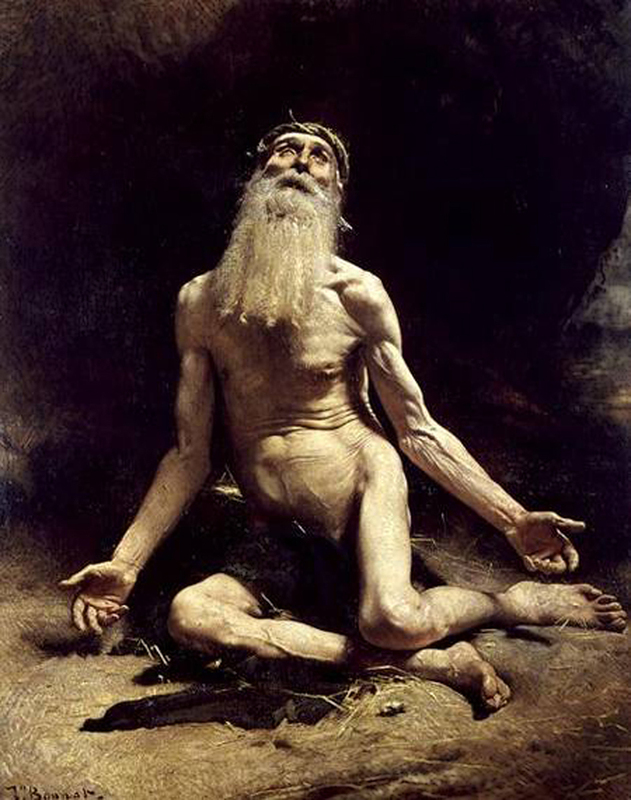 One of the most intriguing characters in the Bible is Job. Tempted and accused, ignored and maligned– he maintained a faith in God’s goodness when hell wanted to destroy him. His goodness should not be questioned oe diminished. Job becomes an oblivious participant in a cosmic exchange. God and Satan lock horns over Job’s faithfulness. God is sure of his love, while the Adversary thinks Job will fold when repeatedly tempted. But keep in mind, Job hasn’t a clue of who or why. He has to deal with life that is an enigma wrapped in a mystery. Job will soon become intimate with pain and suffering. Satan is like a pit bull. And God has pointed out the character of Job, and what an enticing “meal” he would make. It’s a bit like slathering bacon grease on him and turning him over to the nearest pack of wolves. Satan now pursues his prey. Again, Job is completely unaware of this contest. No one has bothered to consult him directly about this. Job knows nothing about this ”wager.” And it’s hard to be kept in the dark. I contend that had Job known what was going on, this all would’ve been far easier. However, everything would be “unscripted” and Job would suffer in complete ignorance. And that is doubly hard. But there was no sin! Job will not travel down that road. Yet he loses everything– all of it. And things are going to get even worse for him. He will be visited by three “friends.” However, they won’t help him. They will only make things worse. The life of Job, and the “total war” on his soul must be our consideration and our precedent to order our lives. The pain of Job should become the blackboard where we practice our figures. In the New Testament book of James, (5:11) we are told to think about Job. And in our deliberations, to consider the compassion and mercy of God. Ironic, in some wild cosmic way, our trials of faith are significant. We should realize that if you or I are going to come out clean in this, we will need to emulate the faith of Job. I think that this what James meant in 5:10-11. We understand that Jesus absorbed all our sin and pain, completely. When we see that, we can come through just about any nastiness. It won’t make the trials any easier, but it will frame the full goodness of God. We also experience blisters from “near-brushes” with God’s flames. About 30 years ago, I set myself on fire. I was in my little cabin in Alaska, and woke up on a January morning. It was cold, beyond cold. I set up the coffee pot and opened the oven door to get warm. It took a little bit of time to get the water to flow through the hose– and I was burning to death! The water finally made its inexorable way to the shower head, and at last I found relief. The night before I read that particular verse, and spent some time thinking about it. I’m certain I read if before, but somehow it seemed I was reading it for the very first time. “A flame of fire, how very odd,” I thought. This was of those strategic points for me as I was wondering about any kind of “full-time” ministry. The irony certainly wasn’t lost on me that next morning when I flared up like a torch. I ended up in the hospital with a lot of 2nd and 3rd degree burns down most of my back. It took a long time to heal, and I have some serious scars. It took many years before I could expose these burned areas to the sun. Most of what I learned, was that I was a “marked man.” That our Heavenly Father was not adverse to using anything in my life, as long as it didn’t kill me. (I’m thinking of the Book of Job here.) There was such a slow healing, and it hurt so bad, that I must believe it was quite significant. So its trial and error–and sometimes fire.